SUNY-ESF was the site of a dedication ceremony for the college's carbonate fuel cell. The ceremony was held February 21 on the college campus. Officials from the New York Power Authority and the New York State Energy Research and Development Authority joined ESF President Cornelius B. Murphy, Jr. in dedicating the fuel cell, which drives a fuel cell-based combined heat and power system that provides on-site power generation. The waste heat from the fuel cell is used for domestic hot water, space heating or space cooling on the campus. 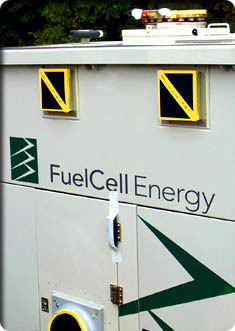 NYPA and NYSERDA provided funding to assist the college’s acquisition of the fuel cell.